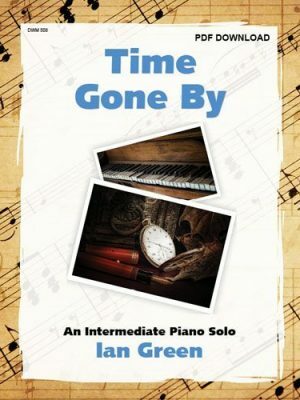 Time Gone By is a beautiful pop ballad for the late intermediate pianist. 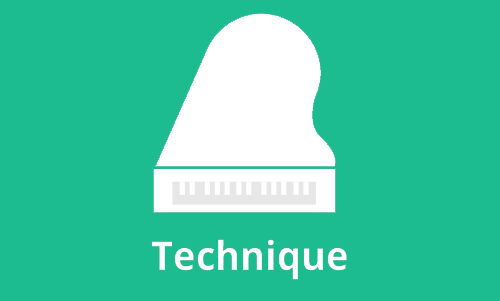 The murmuring accompaniment, shared melody, rolled chords and pop harmonies combine to create an ideal recital, examination or recreational work. 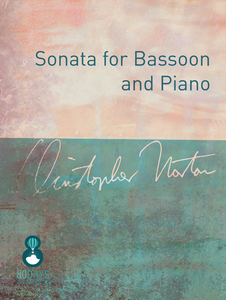 Pianists of all ages will love to play this new work by Ian Green. 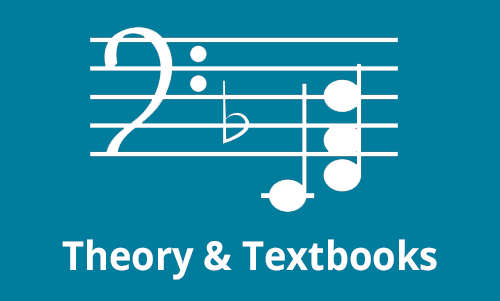 The Total Theory Supplement includes reproducible downloads designed to provide students and teachers with additional teaching and learning tools. 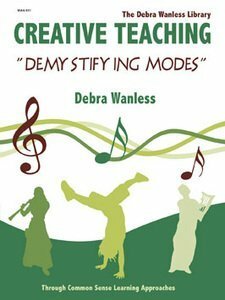 Each chapter now includes a Chapter Challenge for review (with answers), suggested musical terms and signs for organized learning and review, as well as additional charts and references as required. 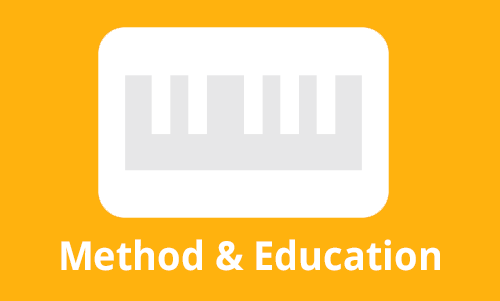 The Total Theory Supplement enhances this comprehensive, educationally sound and ‘user friendly’ rudiments program. 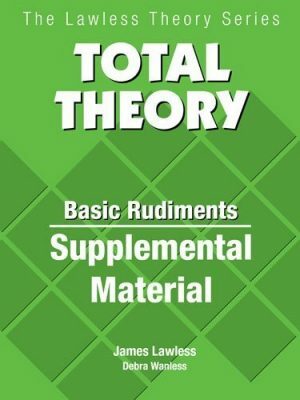 Download this supplement for free with purchase of a Lawless Total Theory Advanced Rudiments. 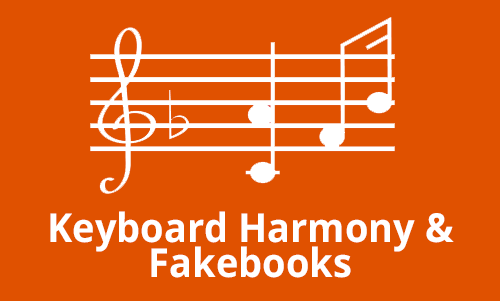 Download this supplement for free with purchase of Lawless Total Theory Basic Rudiments. 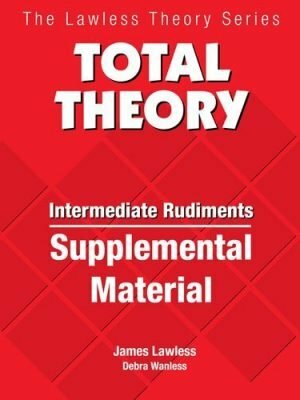 Download this supplement for free with purchase of Lawless Total Theory Intermediate Rudiments. 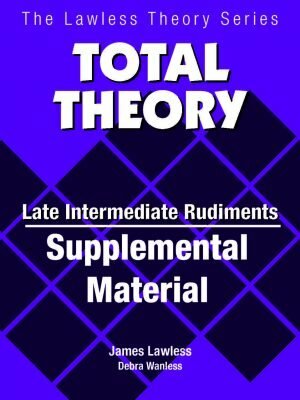 Download this supplement for free with purchase of Lawless Total Theory Late Intermediate Rudiments. 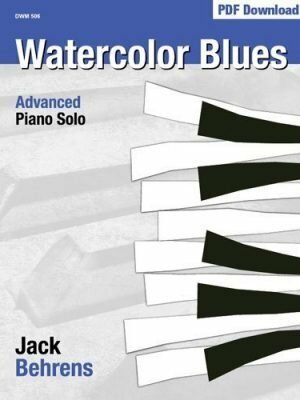 Watercolor Blues is a charming, relaxed modern blues style work for the advanced performer. 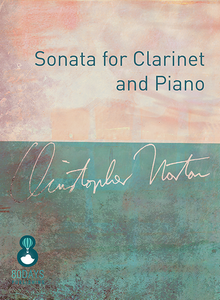 The shifting metres and colourful chords create an wonderful improvisatory feel for this charming piece. Wee Songs is a series of piano works about wee folk and their natural surroundings. 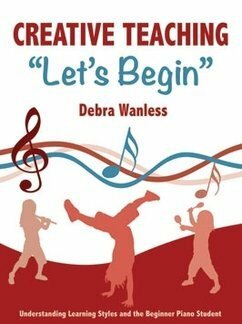 Each piece includes opportunities to improvise and experiment with sound and rhythm. The works are written in a broad range of styles, metres and keys/modalities to stimulate creativity and experience new concepts. 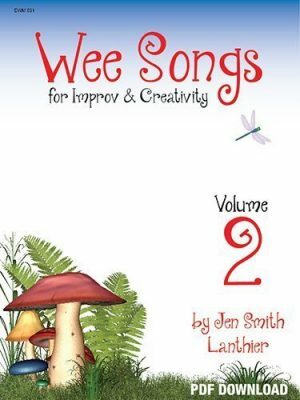 Wee Songs is a series of piano works about wee folk and their natural surroundings. 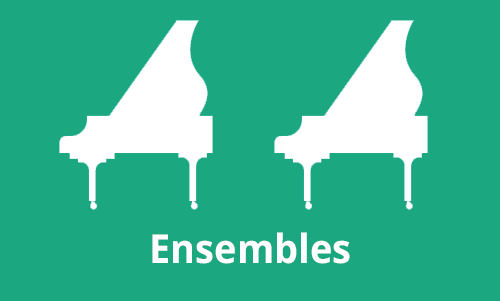 Each piece includes opportunities to improvise and experiment with sound and rhythm. The works are written in a broad range of styles, metres and keys/modalities to stimulate creativity and experience new concepts. 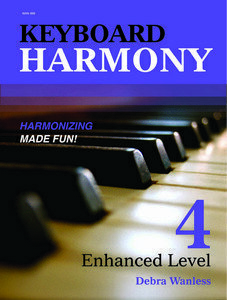 Volume 2 is a natural progression from Volume 1 and includes 7 late elementary/early intermediate level improv songs and 1 lead line. 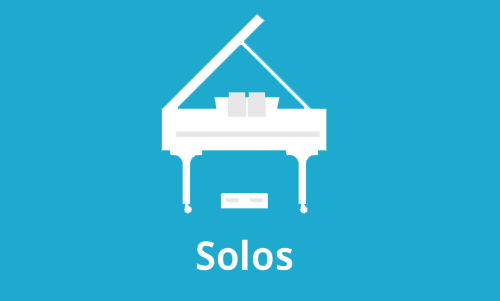 These songs are a fun way to develop melodic improv skills. 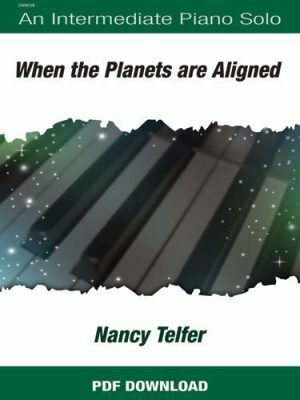 When the Planets are Aligned from Planets and Stars by Nancy Telfer, is a delightful intermediate piano solo. This piece has a happy sound. When the planets are aligned, everything feels right; good fortune is at your door! The changing metre has each planet moving in its own rhythm toward the place where all planets will be aligned at the end of the piece. 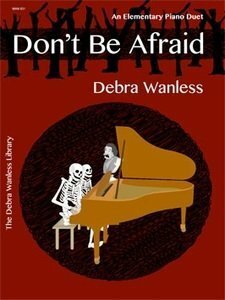 Ideal recital, festival or examination work! 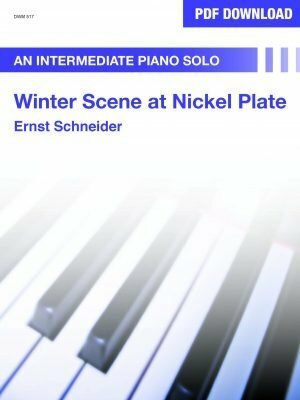 Winter Scene at Nickel Plate Lake is an intermediate piano solo by Ernst Schneider. Nickel Plate Lake is a small lake, high up on the west side of Penticton, British Columbia. It is surrounded by tall pine trees; in the winter the frozen lake is a serene setting disturbed occasionally by small gusts of winter. Schneider captures this scene with gently shifting metres, soft tones and rich harmonies washed with pedal.